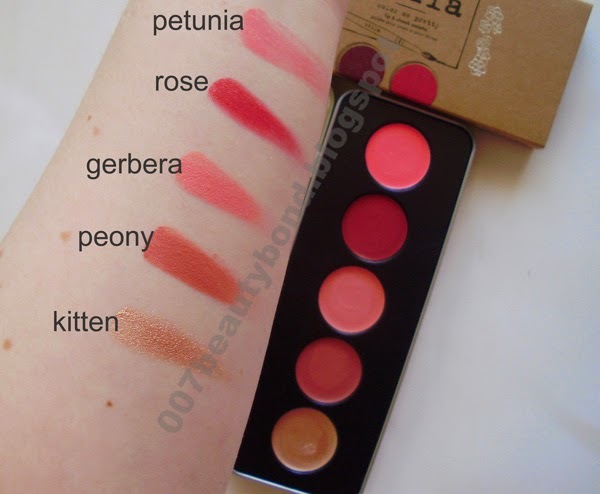 Kitten (limited edition), Peony, Gerbera, Rose and Petunia are available and sold as singles. Kitten (edição limitada), Peony, Gerbera, Rose and Petunia estão disponíveis e são vendidas separadamente. 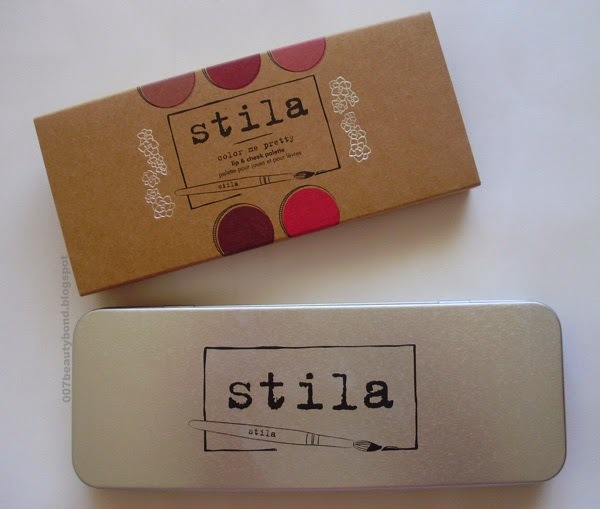 Nice way to try and test the 4 lip and cheek colours before buying the Stila Convertible Colours available.